If you have skype installed you can select the link below to call Karen Hayns MSc - Future Perfect. I'm Karen, a business, lifestyle and health coach based in south Buckinghamshire. I have a business background having enjoyed four quite different careers over a 25 year period, before going solo to set up my coaching practice in 2013. I’ve been a leader and member of many teams and did this whilst raising a young family so I understand first hand the pressures of modern life and the challenges we encounter as a result. Six years on, my work continues to evolve as I spend time with leaders, teams and private individuals from all walks of life. I enjoy coaching men and women because in my experience the opportunities we create and the challenges we experience affect both equally. Is a highly relational process between two people and the themes explored can be expansive. Clients tell me that what they value most is the opportunity to think about issues that are important to them - time that would otherwise be spent head down, doing stuff. They say coaching pays them back tenfold both in terms of what they learn about themselves and the choices available to them as a result. Programmes are individually tailored and then contracted for in partnership with a commissioning organisation and client. I then work with my client (or clients), typically in blocks of 6 sessions over a 4-6 months period. Sessions may be face to face or via video call. Team coaching assignments can be one-off events or programme based, dependent on need. All events are co-created with my clients and designed around the topics outlined below, either exploring a single theme, or a blend of two or more. Action Learning is an excellent way for teams to tackle complex issues or disputes, particularly where there is no right or wrong answer. This is an enquiry based process where everyone at the table is given a voice which means that new thinking and new ideas can be explored collectively. This helps teams to understand what it takes to create a good collective experience - something that cannot be achieved working alone or in cliques - irrespective of status and role. The results? Better decision making, more consensus and commitment, and clarity about a way forward. Creating high performanceI have long believed that high performance in teams takes time and effort, and so the focus of my approach is what the team can do to help itself. Too often teams find themselves caught up in politics, heresay, and the influence of the wider system and a number of micro-cultures. I have developed a number of exercises that teams can explore with a focus on what can be done to improve team brand and effectiveness. The majority of my work in this area is with private clients who ask me to work with them on a range of professional and personal issues and interests. The topics explored mirror the Executive Coaching topics (above) In addition, I have developed some specialist areas which arise from my own experience and personal interest. Career Transition This is the topic that most private clients hire me for. I understand the challenges, the thought of ‘starting from scratch’ and dealing with the opinions of others (often their fears)! and - of course - the pay-offs. Together we will explore personal values, external motivation and reward, and take a deep dive into your skills and strengths and explore what it means to be in transition. Enquiries are also welcomed from retirees wanting to discover their ‘what’s next’. If joining a group is not your thing, perhaps private weight loss coaching might appeal more? Designed around your ‘food story’, lifestyle, eating patterns, habits and triggers I will help you adopt new habits so that you too can achieve amazing results and a goal weight that you have always dreamed of. Before I retrained as a coach, I spent 25 years in business and am able to offer clients extensive experience in retail, professional services (partnerships), outsourcing/offshoring. I specialised in delivering business change programmes to international and global businesses, working to overcome cultural issues including fear, loss of control and mis-trust. My coaching experience spans professional services, education, pharma, financial services. I am a member of the coach team at Henley on the Exec MBA and The Leadership Programme and work with clients from different sectors, disciplines and geographies. However, many of the challenges are similar - relational and cultural. My work with teams is focussed on interpersonal relationships, role and power. I am fascinated by business culture and what teams create – sometimes unintentionally - and this stems from the years I spent as a leader and member of many multi-cultural teams. My work is a mix of one-to-one, leadership team and team coaching where I typically work with groups of up to 8 although I have worked with groups of up to 25. My preference, however, is the intimacy of smaller groups where the dynamics of interpersonal relationships can more easily be experienced by all members. I work with teams at all stages of development, from formation to adjournment (endings). Trichotillomania (TTM) is a relatively little-known compulsive hair pulling disorder affecting around 1% of the population. Also known as a BFRB (body focussed repetitive behaviour) the onset of the condition can be a single event – sometimes a trauma – or not. I have TTM but have been pull-free for several years and offer coaching to those with the condition who have themselves become pull-free and manage their condition effectively. Programmes are designed on a client by client basis. Hoarding disorder is a complex issue and typically builds up over many years, resulting in isolation and loneliness. Working with clients at home can achieve life changing results accompanied by a real sense of accomplishment and a feeling of getting your life back on track. The very idea of being able to welcome family and friends back into your home cannot be under estimated, and for many, something they dared not believe could happen. Initial consultations are always offered free of charge and will last up to an hour. Sessions can be booked on a session by session basis, or over a timescale to suit your coaching requirements and circumstances. Fees are tailored to each client, circumstances and budget. Personalised payment plans are also available for privately funded clients wishing to book a number of sessions. 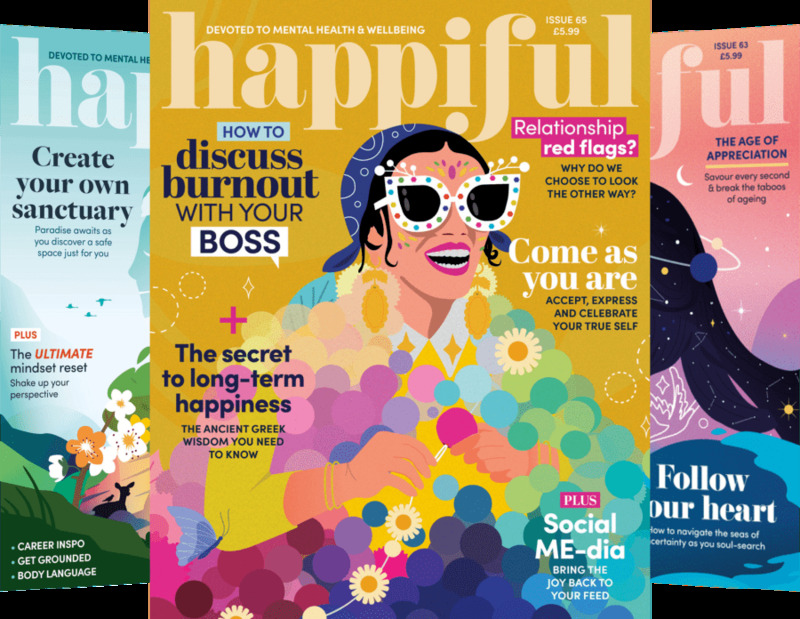 What’s cute, colourful and doubles up as self-help guide? Give this a whirl! The domino effect and we're not talking pizza! Three life skills that outwit disappointment. Yay! "I am a big advocate in coaching, and I have an excellent high performing team. This has been achieved through the team wanting to be winners and being open to new experiences. Karen has coached various members of my team, and I strongly believe this has helped create the type of environment that a lot of people dream of and strive for. Karen is ‘pragmatic’ and ‘real’ in terms of understanding the world in which we live and work. I would highly recommend her." "I had the good fortune of having Karen as a coach during my Exec MBA at Henley Business School. She is objective, balanced, trustworthy and knowledgeable to name but a few of her attributes. She has helped me find clarity in some of life's obscurities. I wouldn't hesitate to recommend her." "Karen was my coach throughout my MBA at Henley. She was a fantastic coach and helped me deal with issues from setting my personal vision, dealing with personal change and tackling challenging conversations/issues. Her approach is relaxed which helps build rapport quickly. The other strength Karen has is recognising when you need direction. She made some sensible recommendations for me." Having been unsuccessful, many times, "going it alone" on my weight management journey I was fortunate enough to meet Karen Hayns at a local Slimming World Group. Karen has made an immediate and lasting difference to my mindset due to her support and self empowering sessions during the weekly meetings. She has helped me to understand how my emotions and history were getting in the way of my long term goals and has totally changed my mindset through her non judgemental and supportive coaching style. Her ability to support the individual whilst also inspiring the rest of the audience is awesome and I find myself eagerly anticipating the next weeks session to learn not only about my own journey but to reinforce the whole groups outcomes. Karen shows empathy, kindness and real and sensible advice along with positive reinforcement. I would highly recommend Karen." "I was a bit sceptical about coaching as I think it's so hard to empathise with the issues facing a particular workplace or industry unless you've worked in them but Karen didn't take long to get the thread of things and understand the key drivers and problems. She is an excellent listener and able to draw on details of your background and sessions in which you have discussed things effortlessly. As ever, it's about getting you to sort out your own way forward rather than giving you a magic ticket and Karen does this very well." "I have been dealing with trich (Trichotillomania or TTM)since I was 10 years old and only my close family knew about it. When I met Karen for the first time I was a bit reserved and I didn't feel comfortable talking about the condition. However, her positive energy and relaxed approach helped me to open up during our conversations. She was genuinely interested in helping me cope with stress and trich. By sharing her own struggle with the condition she gave me courage throughout the change process. I consider Karen a friend and I feel lucky that I had her as a coach!